If someone asked me, “is cross country fun for you, why do you do it,” I wouldn’t know what to tell them. It’s a sport that only runners could understand. It’s a perfect blend of aspects from every spectrum of life: happiness, sadness, frustration, accomplishment, determination, and laziness, just to name a few. In this sport, we are told by our coaches and peers that if you work hard, you will be able to accomplish anything you put your mind into. And so, since freshman year, this has been my approach to life. After a disappointing end to my sophomore track season, I began summer conditioning with loads of motivation and excitement, expecting enormous PRs and a strong belief that I was going to bounce back stronger than ever. On the first day, only about 10 people showed up. It was a bit of an anticlimactic start, but regardless, being the captain, I was going to run my hardest and motivate those around me as much as I could. 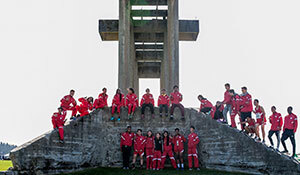 When the season began, more and more people began to join and the bond that defined our team was gradually coming back. 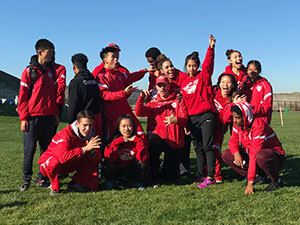 The season began at the annual two-mile “class meet” course at Evergreen High School in Burien. Runners would run against their peers of the same graduating class within the league. I finished second in my race out of 19 other runners which was a huge improvement from previous years. The season ahead looked bright, and state was easily within my reach. However, the season did not turn out as planned. In more than half of my races this season, I ran much slower than what I had expected and what either of my coaches expected from me. After my second to last place finish at districts this year, I spent the rest of the day contemplating what had gone wrong; ran every day, 40+ miles a week, check; ate healthy food, check; got at least 8 and a half hours of sleep (at least for the latter half of the season), check. I could not figure it out, but I guess that’s the lesson to be learned. No matter how much effort you put into something, nothing is ever truly guaranteed. Failure is just something we must live with and recognize that it most certainly doesn’t define us. On the bright side, two of our girls qualified for state this year. 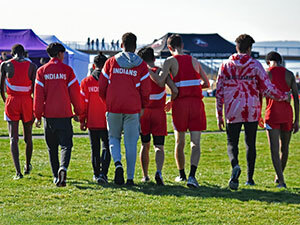 It was bittersweet to go and support them in their final cross-country race. Huge PRs met with streaming tears as they crossed the finish line for the last time. That’s when I realized for myself why I love cross-country. It is the team. The team that molded me to who I am today, and taught me the lessons that I would never have learned otherwise. This season has solidified that it’s not the destination, but the journey that makes something so great. From the karaoke sessions on the bus ride home, to movie and lasagna nights, the team is what makes this sport so great.